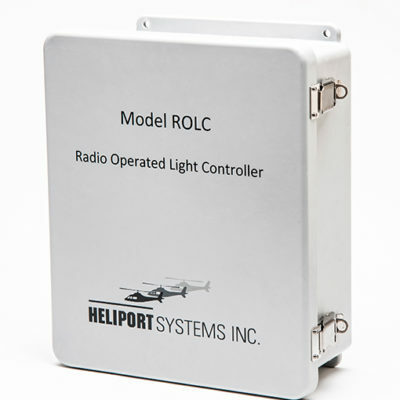 Heliport Obstruction Light | Heliport Systems Inc. 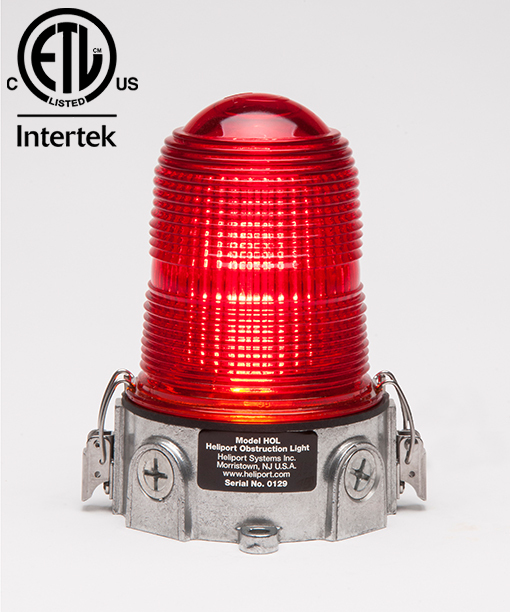 The Heliport Systems obstruction light features an FAA-approved, tempered glass lens. 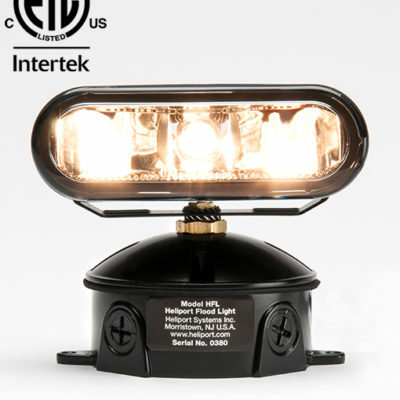 It comes with a 116 watt, 120 VAC bulb with an 8,000 hour life (approximately one year) that can be changed without tools, owing to the fact that the lens is held in place with stainless steel clamps. 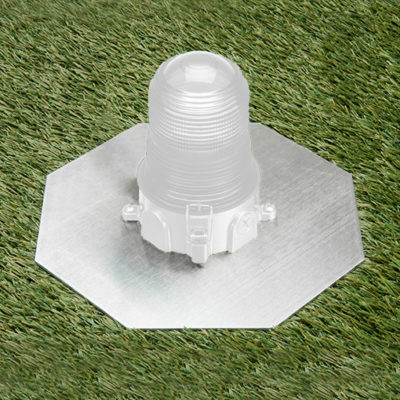 The cast aluminum base serves as a junction box so no additional junction box is required. 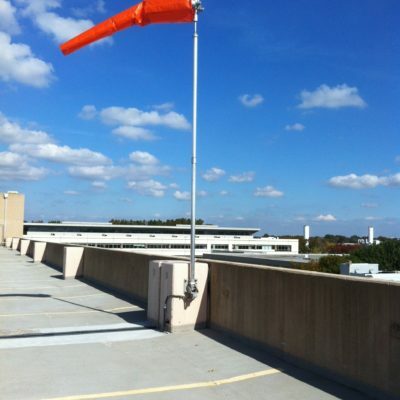 Further, with three half-inch NPT thread conduit entry points on the side and two more on the bottom, the are many ways to mount the fixture.